Because of their small size, most can be kept in tanks as small as 30-55 gal tanks, but they do require hiding spaces. 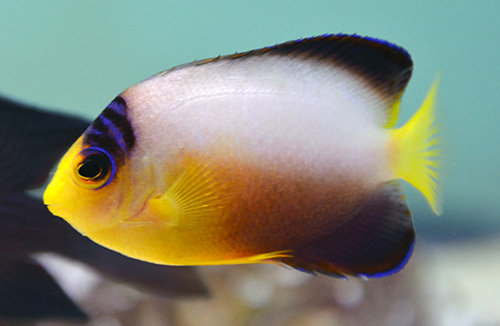 Not a good reef dweller, the Multicolor Angelfish is prone to nip at stony and soft corals (sessile invertebrates) and clam mantles. It is sensitive to copper-based medications. It is best to just have one per tank unless the tank is large, as they will usually fight. They do best in established tanks, whether reef or FOWLR tanks, though they prefer lower-light aquariums; in the wild, they tend to live in deeper waters.